The Vessel is a catamaran with two symmetrical hulls, providing enhanced sea keeping for optimum comfort and safety. Each hull is based on the Sea Axe hull shape. 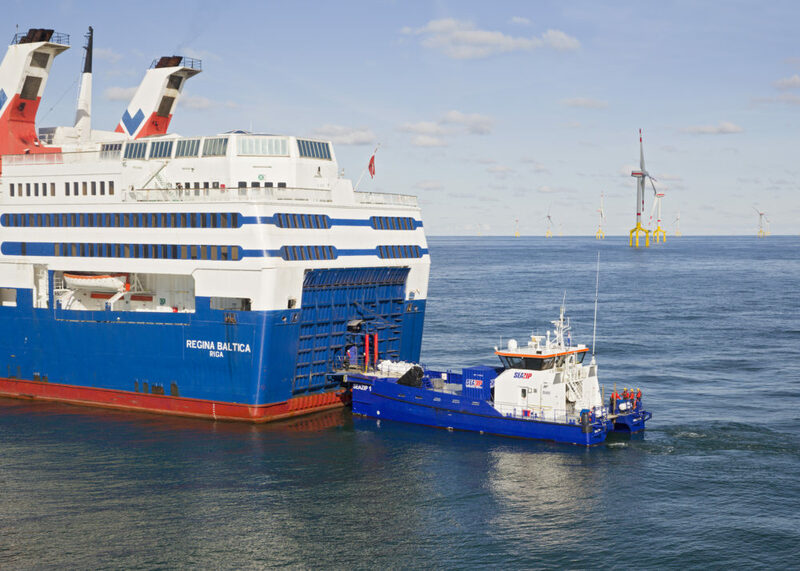 The Vessel is propelled with propellers, which are driven by marine diesel engines. 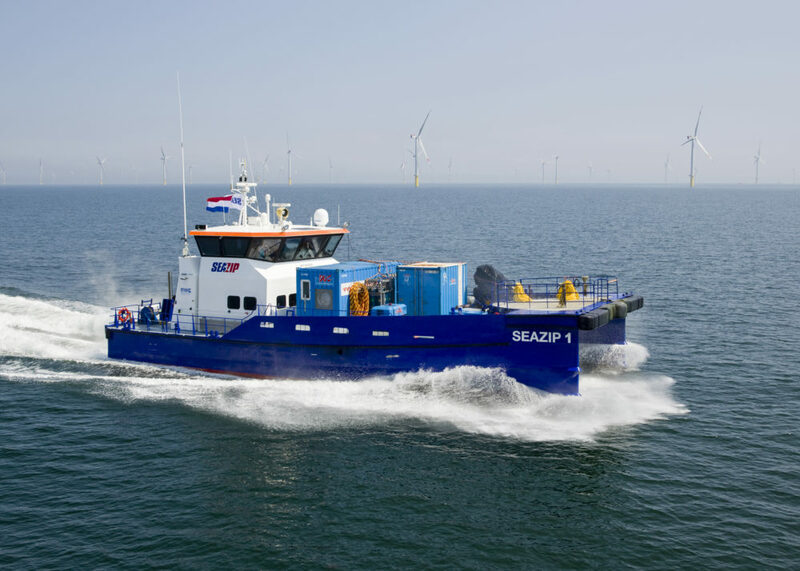 The Damen Fast Crew Supplier 2610 ‘Twin Axe’ is a significant step forward from more conventional seagoing High Speed Vessels, due to the unique and superior characteristics of this hull form. 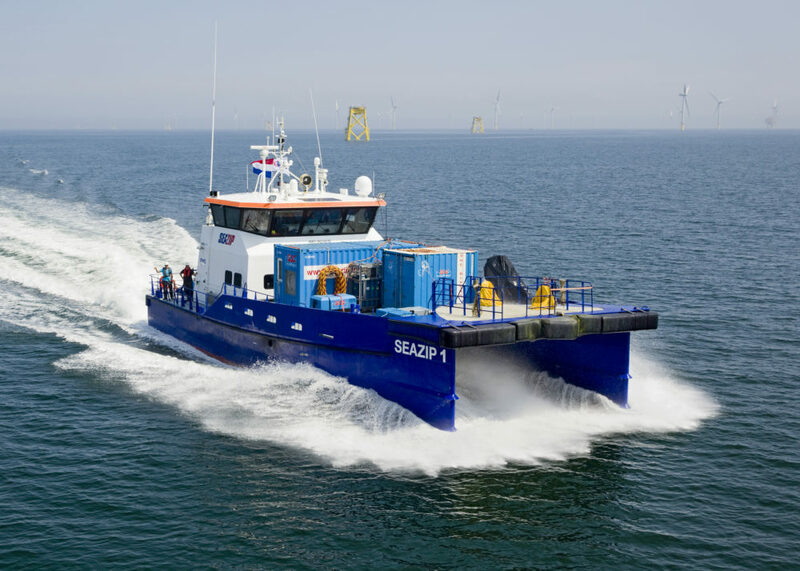 SeaZip 1’s competitive advantages include: more comfort, even in turbulent conditions; preservation of high speed in rough sea conditions; and a high level of fuel efficiency. The vessel is geared to strenuous and long-term deloyment on the open sea and operates under class (Germanischer Lloyd). Do you want to know more about the technical details and availability of CTV SeaZip 1? Please contact us to get quickly access to all relevant information. 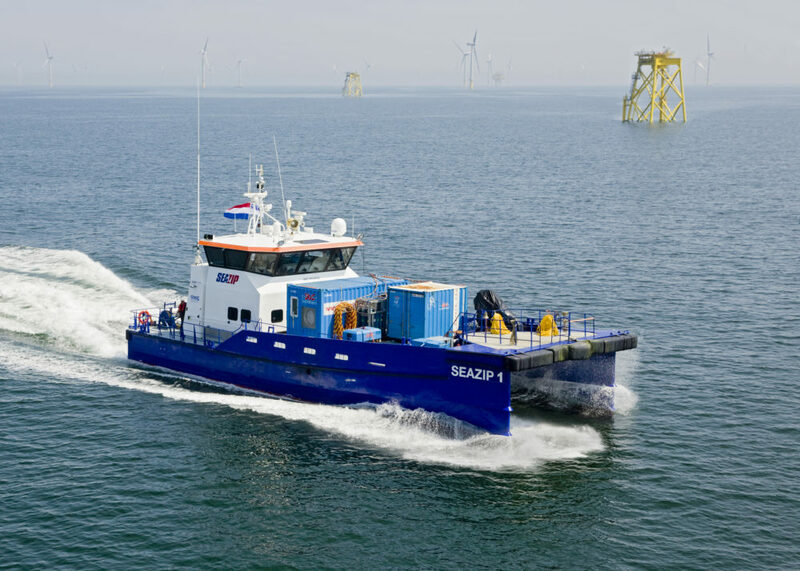 SeaZip Offshore Service provides sophisticated service vessels and excellent ship management for fast and safe access to offshore sites. 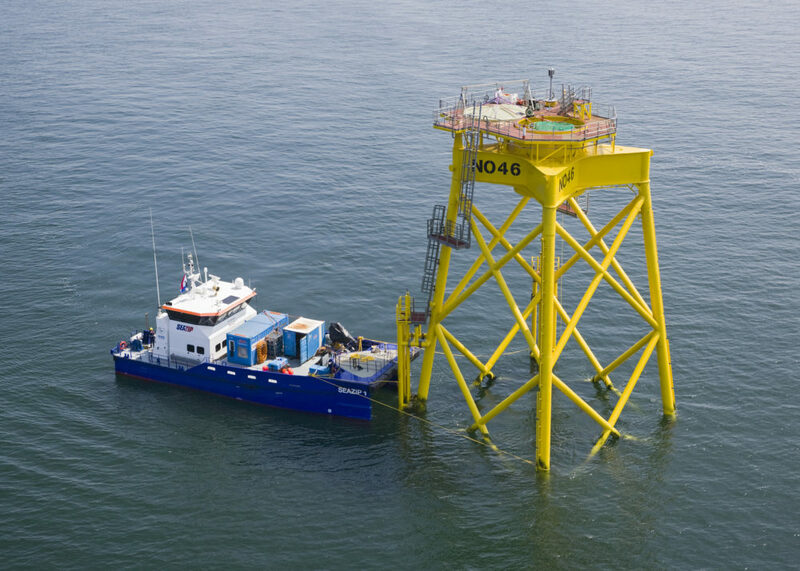 We specifically focus on devising smart solutions for the offshore wind and oil & gas industry. Our strong position in ship design, ship building and ship management offers our customers the opportunity to promptly react to the latest market developments. Our mission statement is: outstanding and safe performance, in even the most challenging of circumstances. 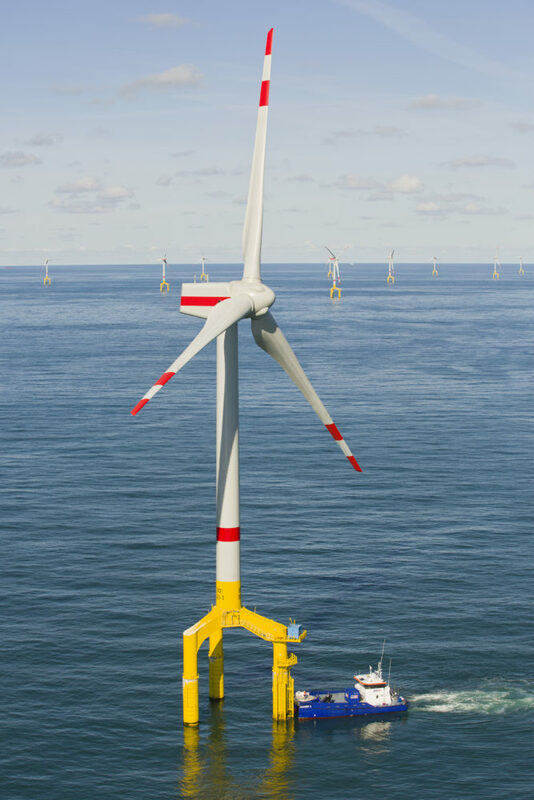 Renewable energy is our key market, Europe our geographical scope, Harlingen our home port. 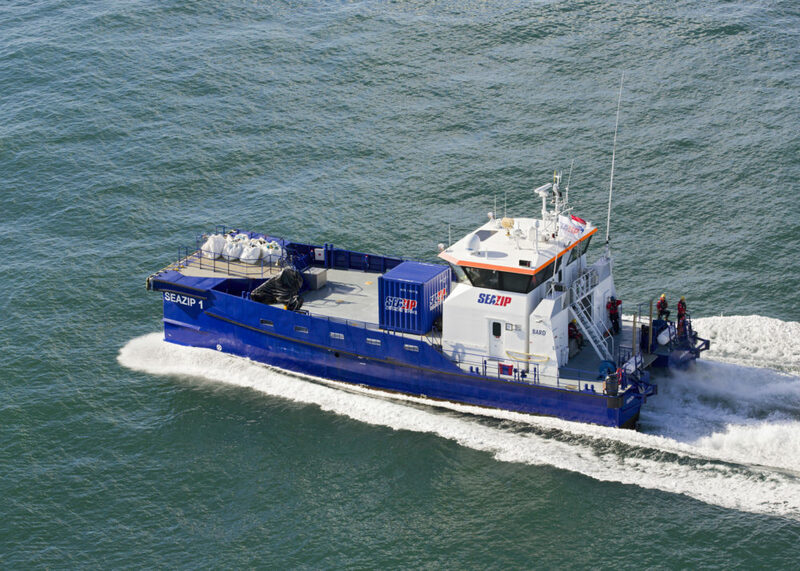 Our offshore service vessels are highly versatile and can be deployed to support both short-term and long-term projects. Would you like to be kept informed about the availability of our vessels on a weekly basis? Please sign up for the SeaZip availability list.